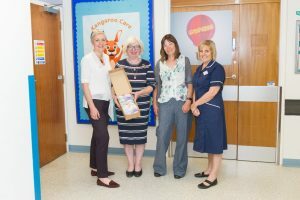 One of our dedicated fundraisers, Sam Elliott, has just knitted 39 baby hats for premature babies on the Neonatal Ward at Leeds General Infirmary. Sam Elliott has worked in our fundraising department for just under a year. Having recently learned how to knit, she saw a post on Facebook asking for hats for premature babies. 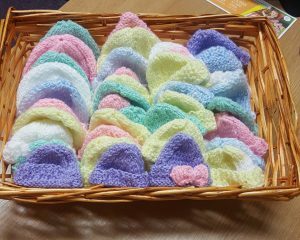 As we sponsor research at the University of Leeds into the prevention of premature birth, Sam decided to knit her hats for the hospital we work with. “I love raising funds for Cerebra and through this project I was able to help our work in another way”.